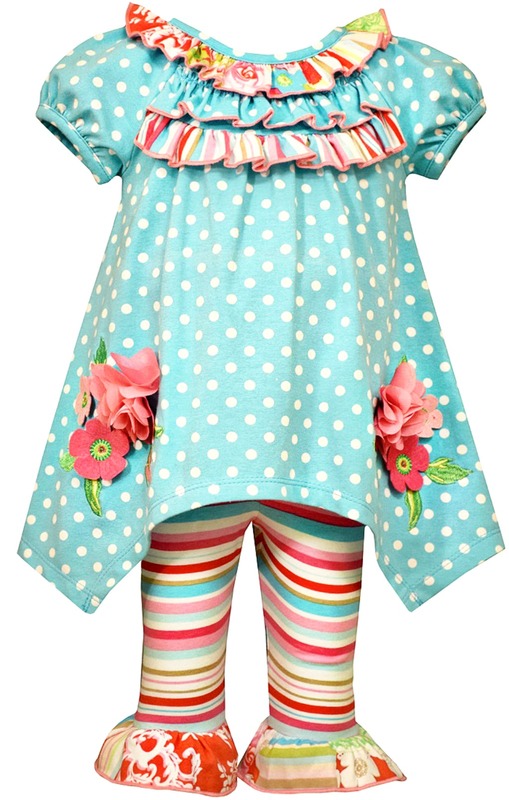 Precious girls sky blue polka dot tunic features dimensional appliqued flowers and matching ruffle hem striped legging. Stretch knit, cotton and spandex blend. Machine wash. Imported.